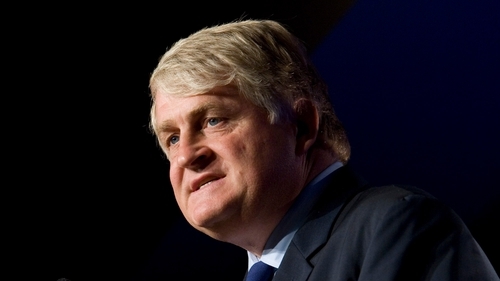 Businessman Denis O'Brien is seeking a High Court injunction to stop RTÉ broadcasting what he says is a report about certain details relating to his private banking affairs. Lawyers for Mr O'Brien were given permission to give short notice to RTÉ about his intention to seek the injunction. The matter is due back before Mr Justice Paul Gilligan tomorrow. Senior Counsel Michael Cush for Mr O'Brien handed in two sealed envelopes to the judge this afternoon. The first contained a letter from RTÉ to Mr O'Brien outlining the fact that work is being carried out by the news department on a report to be broadcast on Friday. No time was given for when it will go out. The court was told the letter says the report will state certain matters and ask certain questions but at no point was it suggested that there was wrongdoing on anyone's part which would be relevant to the public interest, Mr Cush said. The second letter, written by Mr O'Brien, refers to details of particular sums of money representing his indebtedness to the Irish Bank Resolution Corporation. Mr Cush said it was all clearly referable to his personal banking facilities and was undoubtedly confidential. Mr Cush said it was private information and RTÉ must have known that and there was no countervailing interest that it be disclosed, he said. He said the matter was urgent as the broadcast was due to go out on Friday. Mr Justice Gilligan said he was satisfied to grant "short service" notifying RTÉ of Mr O'Brien's intention to seek an injunction. He ordered the papers should be served immediately on the defendant.